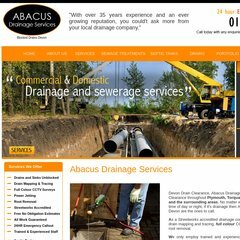 Topics: Drains And Sinks Unblocked, Drain Mapping & Tracing, Power Jetting, Root Removal, and Septic Tanks. Heart Internet Ltd England is the location of the Apache/2 server. Its 2 nameservers are ns2.mainnameserver.com, and ns.mainnameserver.com. The programming language environment is PHP/5.2.17. PING www. (79.170.44.147) 56(84) bytes of data. A ping speed test response, is timed at 99.6 ms.